This pedal looks to be all original except for the knobs.No velcro on the bottom. MXR made - but with a Script Logo instead of the Block Logo which are seen on most reissues. SEE picture of one side of the circuit board. 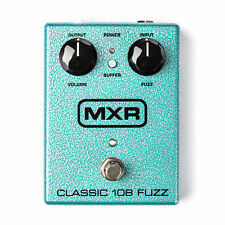 And in the early 2000's - MXR made them - but with different power jacks. This tasty fuzz is aggressive and biting, and with the twist of a knob, you can drag it into that “dying battery” territory much prized by tonechasers—no need to manage a collection of half-dead batteries. It features a searing Fuzz tone coupled with a separate Sub Octave voice and an Octave Up Fuzz, all for thickening up your tone with a sinister growl. Internal Gain and Tone pots shape the Octave Up Fuzz effect. 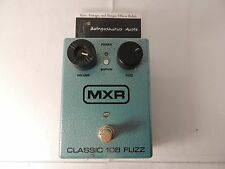 For sale is a MXR M173 Classic 108 Fuzz effects pedal. This unit works perfectly, and sounds great. It is in used condition with minor wear from use. Jimi’s potent “octave up” fuzz sound. Featuring iconic Hendrix art from legendary rock artist Gered Mankowitz. USA is v110. For over 75 plus years our dedicated staff of musicians has assisted pros and beginners alike in getting not only the finest gear available but the right gear for their needs. The Siete Santos Octavio Fuzz combines the Octavio Fuzz circuit with 7 graphic EQ sliders so that you can cut or boost a full spectrum of frequencies, from 100Hz to 6.4kHz, by ±18dB. We also went ahead and added the modern convenience of an AC power jack. 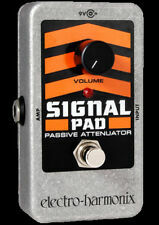 The Blue Box Octave Fuzz takes your guitar signal and duplicates it two octaves down for a huge, subterranean tone. Not for the timid—there is truly nothing like the Blue Box. Adds fuzz to your signal and then duplicates it two octaves down. Product: M173 Classic 108 Fuzz. Bland: MXR. Item status: Used. I also exhibit various effects pedals in addition. Product introduction. D :There is a problem in use. Item condition: S. C :Although the condition is bad. This unit works perfectly, and sounds incredible. Only the pedal itself is included. You get a lot more clarity with all of the modulated fuzz you can handle. This is a super early Blue Box with the Script logo and rare "Bud Box" enclosure. The housing features artwork from legendary rock artist Gered Mankowitz. Featuring iconic Hendrix art from legendary rock artist Gered Mankowitz. USA is v110. For over 75 plus years our dedicated staff of musicians has assisted pros and beginners alike in getting not only the finest gear available but the right gear for their needs. Octave switch kicks Fuzz signal into searing Octave Up mode. Combines La Machine Fuzz with old school Sub-Octave signal. Current Draw. Effect On: 4 mA. Effect Off: 1.5 mA. Bypass: Hardwire. Noise Floor: >100 dBV. 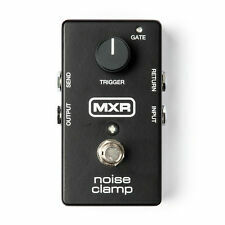 MXR by Dunlop SF01. It features a searing Fuzz tone coupled with a separate Sub Octave voice and an Octave Up Fuzz, all for thickening up your tone with a sinister growl. Internal Gain and Tone pots shape the Octave Up Fuzz effect. Like its larger predecessor, its loaded with the silicon BC-108 transistor for a round and dirty crunch. Use the Buffer switch on the side to make the fuzz play nice with wah pedals. Rockem Music accepts no responsibility for claims made after 48 hours. The Sub Machine Fuzz combines shaggy fuzz with a growling sub octave circuit-switchable between series and parallel modes-with an octave up fuzz mode for searing subterranean sounds. Current Draw: 7 mA. Great sounding fuzz pedal and cool script logo. This is the reissue I believe. Powered by a 9 volt power supply (not included) . Has a few scratches you can see in the photos. The Sub Machine Fuzz kicks open the door to epic and unbridled sonic exploration. ( La Machine Fuzz's circuitry ). Sub Machine Fuzz M-225 Guitar Pedal. OPEN BOX ITEM. PEDAL IS IN MINT CONDITION. You are helping a little girl get dance lessons, a little boy get his team jersey. 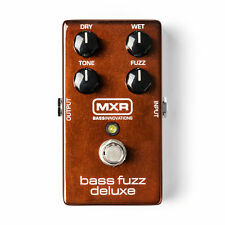 MXR® BASSO FUZZ DELUXE. Fuzz Bass Deluxe informazioni. 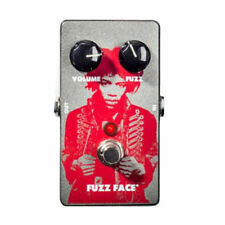 Circuito Fuzz Face BC-108. Interruptor de Buffer. Es hat das gleiche No-Nonsense Interface wie das klassische 108 Fuzz. 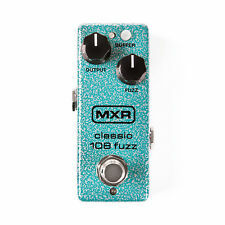 - BC108 Fuzz Face Schaltkreis im MXR mini housing. - Fuzz Effekt Pedal. - Batteriebetrieb nicht unterstützt. - Stromversorgung via inkludiertem 9V DC (Dunlop ECB 003) Netzteil 2,1 mm x 5,5 mm Hohlstecker, Polarität (-) innen.